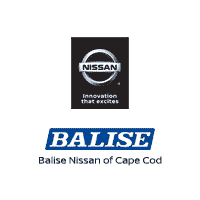 Every car is on sale every day at Balise. You don’t have to wait for a special sale to get a great deal. With so many dealerships, we always have a huge selection of new and used vehicles to choose from. If you don’t see the car you want at one of our dealerships, chances are we can help you find it at another one. You’ll get Live Market Pricing at Balise. We constantly compare our used cars to others in the region and continually adjust our prices to current market conditions. At Balise you always get our lowest price up front, fast and easy. We do our best to keep our online inventory and our prices up-to-date. We don’t keep sold vehicles online to make it look like we have more cars or use bait-and-switch tactics. We believe in full disclosure. We provide a free vehicle history report on every Balise used car in stock, right on our websites. We’ll pay you cash for your used car, even if you don’t buy one of ours. We offer everyday low prices on many service items, unbeatable tire prices and we only recommend what the manufacturer requires to maintain your vehicle…nothing more, nothing less. The bottom line: You’ll enjoy exceptional service and savings and do better when you buy and service your car at Balise, and please, if you’re not happy with your experience at Balise, we want to know about it.